Very lightweight lanyard for an affordable price. Highly recommend that you check out this company. I was able to design these eco-friendly lanyards just the way I wanted. Thanks for the help Custom Earth Promos. Loved the design on these bamboo lanyards! They're overly durable and make a rememberable statement with potential clients! Gave them out at my annual corporate conference and it made a huge impression! Thank you CEP for the exceptional products! Will definitely be ordering another bulk order asap! These bamboo lanyards really hold up well. I wash it all the time and its still as strong as day one. A lightweight lanyard that is indestructible. I like the idea of using bamboo for the makeup of these lanyards. Our company prides itself on using Eco-friendly products whenever possible. These bamboo lanyards are just a great addition to that cause. We customized 5,000 bamboo lanyards for all our students. Its a great way to be Eco-friendly and help them to stay organized. Great options. Plenty of accessories to choose from. The office was taken back by how cool my bamboo lanyards looked. Bamboo is really a durable material. I like the premise behind using it for the lanyards. The print on my bamboo lanyards was immaculate. I work for a large pharmaceutical firm. Everyone has to wear a lanyard at all times. I personalized the bamboo lanyards for all the employees. The design was much appreciated. 1” Bamboo Lanyards from Custom Earth Promos provide an exceptionally strong and eco-friendly branding tool. Bamboo is the fastest growing grass on the planet, yielding up to 3 feet in a 24 hour period without the need for fertilizers or pesticides. Minimal water is required to ensure the active growth of bamboo, adding to the eco-merits of this impressive material. This “green” material has a tensile strength higher than steel, providing optimal durability and lasting product performance. With our complementary PMS color matching service, we invite you to customize your 1” Bamboo Lanyards to match any color of the rainbow. Capture the specific color palette of your brand or custom “green” campaign. Lanyards will be manufactured in the specific length you desire, choosing shorter lengths for children or wrist wearing usage. In addition to the brand-exclusive color, your lanyard order will be matched to, we also render your brand logo or choice of a custom graphic with eco-friendly inks derived from vegetables. A specialized coating is placed over the eco-responsible logo rendering to ensure they will not run, fade or wash away. Our superior quality product construction and highly competitive prices guarantee your order of 1” Bamboo Lanyards will meet your marketing needs with an eco-friendly product that is built to last. Work directly with an in-house design specialist to build your brand-tailored order of 1” Bamboo Lanyards to use as a giveaway for your next promotion, to build a “green” company culture by giving a lanyard to each employee or as a “green” branding tool for your next networking event or trade show. Establishing association of positive social and environmental impact is vital to the success of businesses serving each sector. Consumers around the globe have evolved to demand “green” products and sustainable production methods from the brands they choose to give their business to. 50% of the population, among all income brackets, report a willingness to pay a premium for ethically sourced goods and services. A whopping 70% of consumers under the age of 20 also note that they are willing to pay more for products that are environmentally ethical and manufactured with standards of social responsibility. This signifies a shift in the market, with the power spending millennials of tomorrow exhibiting the strongest dedication to eco-responsibility in history. To secure long-term profitability, gain customer loyalty and increase market share, brands must use socially and environmentally ethical products to effectively communicate their admirable image to customers and prospects. Custom Earth Promos’ brand exclusive 1” Bamboo Lanyards are guaranteed to increase exposure for your business while building eco-responsible value that will benefit your image for years to come. With forward-thinking, eco-friendly products that convey your dedication to the environment, such as our 1” Bamboo Lanyards, your business is guaranteed to remain a step ahead of competitors. You will work side-by-side with a Custom Earth Promos’ in-house design expert to build an exclusive 1” Bamboo Lanyard design that captures the look and feel of your brand and/or current campaign. Bamboo Lanyards are exceptionally strong, budget-friendly and highly effective at building a “green” presence for your brand. 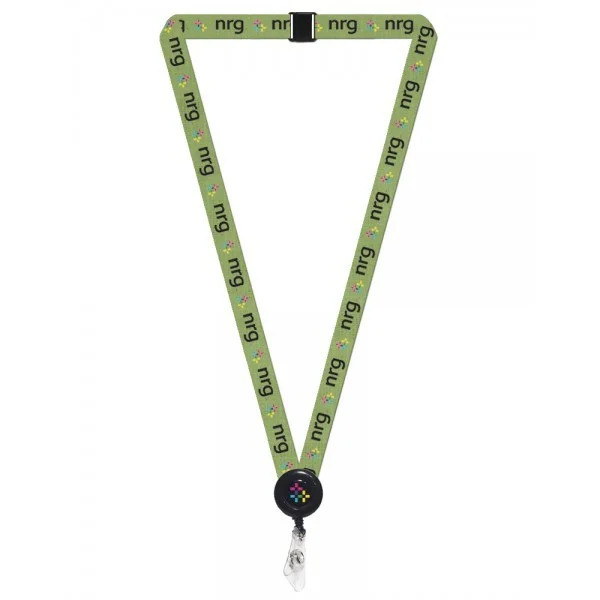 As lanyards tend to be worn around the neck or wrist, your business will receive optimal exposure with a product that also conveys your investment in sustainability. Our full range of custom options ensures a superior quality product that embodies your brand in absolute precision. We will match your lanyards to any color of the rainbow with complementary PMS color matching services. Your order will also be manufactured to meet your specific length requirements, with shorter lengths for children or wrist wearing lanyards. Then, the custom graphic imprint you’d like to be rendered on your lanyards, whether it be your logo or campaign specific image, will be created with soy-based inks in an entirely earth-friendly process. 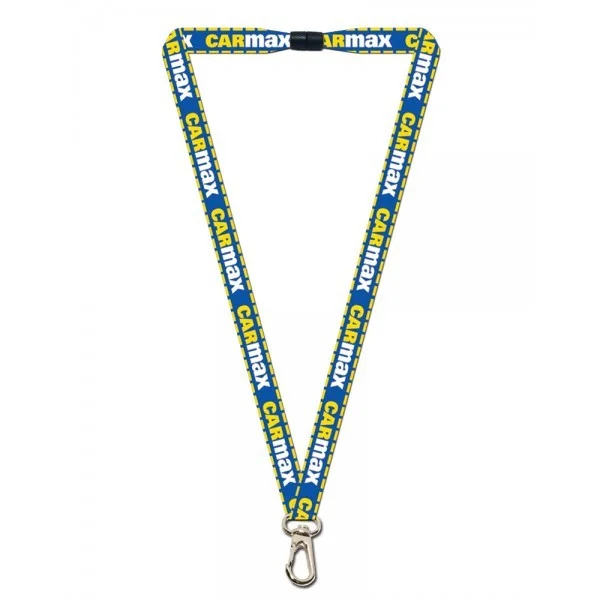 A clear coating is then placed on your lanyards to ensure imprints won’t rub or fade away as customers, prospects or team members wear their lanyards. Establish your brand as a “green” industry leader with creative giveaways and personalized promotional products that clearly convey your brand devotion to planetary preservation. Our 1" Bamboo Lanyards are the perfect answer to optimizing brand exposure and building an eco-ethical image at a budget-friendly price point. Work directly with a Custom Earth Promos’ expert to build a brand-tailored, exclusive order of 1" Bamboo Lanyards from the ground up. Your dedicated design expert will discuss the endless array of personalization options and optional attachments available for your lanyards. We will define the color, length and graphic imprint, reviewing and confirming your approval at each phase of the blueprint creation and production process. Your custom graphic or logo will be rendered in superior quality on the soft, yet incredibly strong bamboo fabric. Choose natural-colored bamboo or customize your lanyards with any color of the rainbow, utilizing our PMS color matching services. 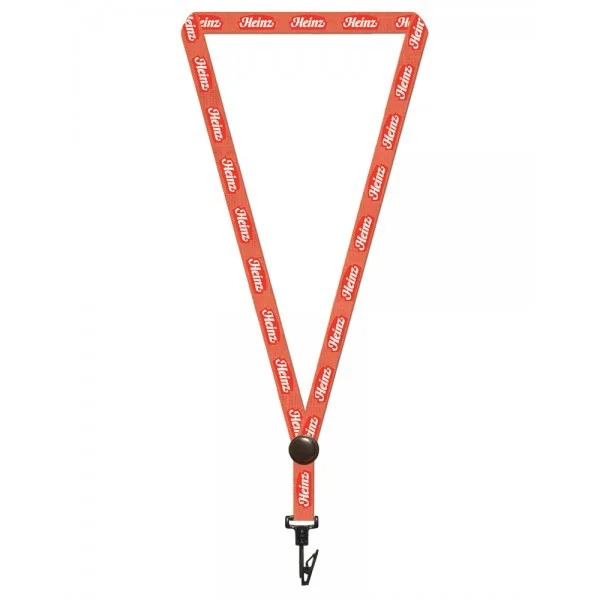 Optimize your lanyards with a variety of optional attachments, depending on the desired applications of your final products. 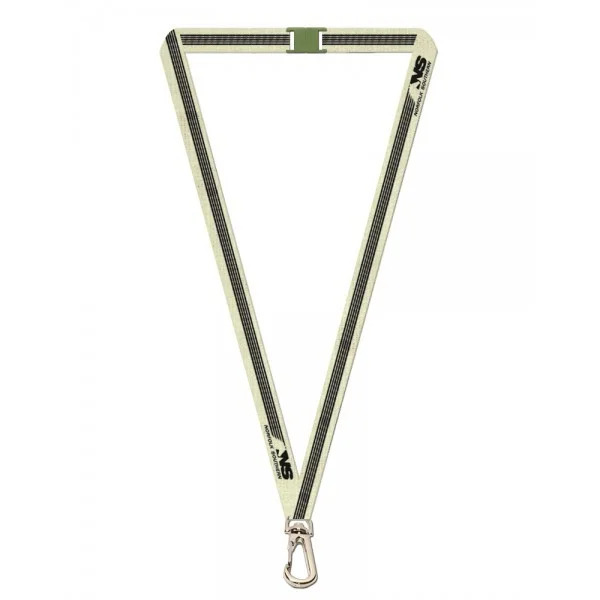 Opt to add swivel J-hooks, key chains, reels, clips, whistles or buckles to your 1” Bamboo Lanyards to guarantee optimal usage and “green” brand exposure. Should your branding needs require intricate designs with great detail, we recommend adding a pre-production sample to your custom order. 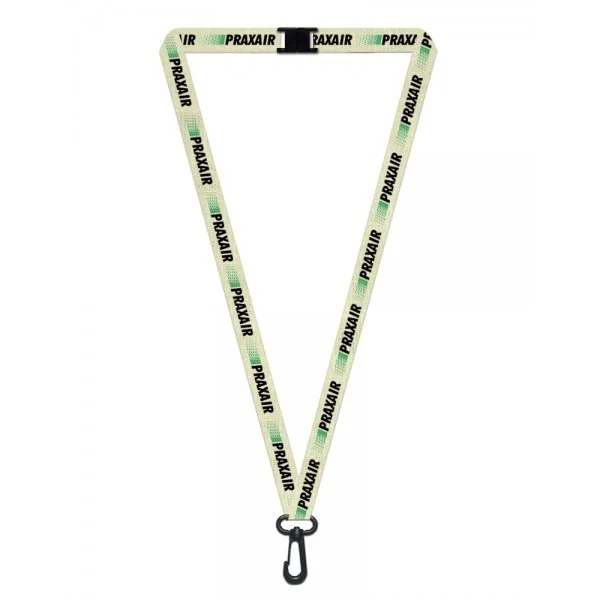 While these samples may require an additional 1-2 weeks for production, they will allow you to fully inspect the lanyard design before the entire batch is manufactured. If time permits, this is a wise choice to ensure your absolute satisfaction. Including a pre-production sample allows you to review the custom choices of length, color, graphic imprint and attachments of your design and confirm that each customization meets your design and branding goals. This provides you with the confidence to move forward with order fulfillment without an ounce of hesitation. Bulk orders of a few hundred or more are available at a discounted rate.